The Maison Alain FRANÇOIS meets Christophe and Véronique FRANÇOIS, pioneers of bistronomy in Nantes and creators of the “Mystery Menu” concept. Christophe François, a Chef born in a sauce pot! Right from the outset, Christophe FRANÇOIS knew what he wanted and where he was going. “From the age of seven I wanted to be a chef!” he says. One of his grandmothers cooked savoury dishes, the other preferred sweet; he quickly got a taste for the art and enrolled at the Institut Vatel. His first experience as a Chef was in the kitchens of the Maison Cazaudehore, Relais & Châteaux in St-Germain-en-Laye. At the age of 25, he and his wife Véronique took over their first gastronomic restaurant, Les Epis d’Or in Champagne sur Oise. There he created the “Mystery Menu” concept (clients specify whether they would like meat or fish, red, white or rosé wine and the chef takes care of everything else). The aim was to change the eating habits of clients. 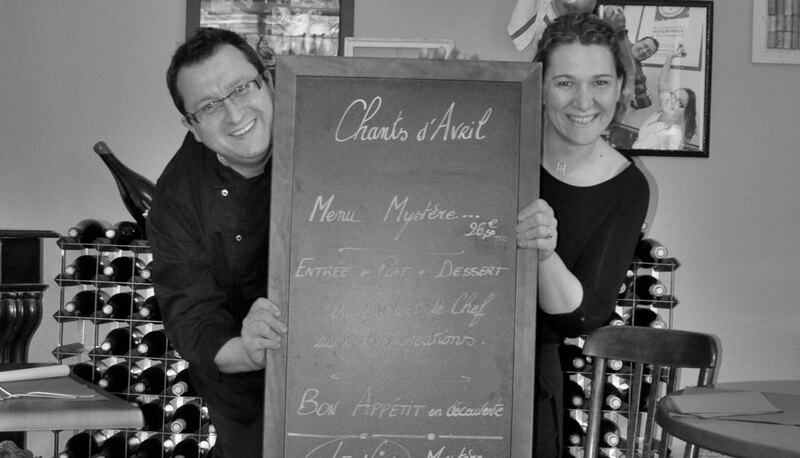 In 2008, wanting to be closer to the sea, he moved to Nantes and bought a bistro: Les Chants d’Avril was born. And so it was in the very heart of the Champ de Mars neighbourhood that Christophe and his wife found happiness. “I opt for suppliers with a short distribution chain with whom I build up a personal relationship; it’s a golden rule. “At the MIN [National Interest Market], the firm Palmiloire supplies us with Alain FRANÇOIS Foie Gras which comes from ducks slaughtered that same morning. You can’t get fresher than that, so it meets my standards! In his restaurant, Christophe treats you to original and creative recipes. Concocted from Foie Gras, his fritters, stuffed guinea-fowl tournedos and saddle of rabbit delight the most discerning foodies. The chef does not hesitate in combining tasty flavours imaginatively when he uses Foie Gras, creating kiwi, vanilla, chocolate, Port and even whisky terrines. < Rungis market is talking about Alain FRANÇOIS!